When you're thinking you might just want to go the whole race off the front, the SES 7.8 Clincher Wheelset is on your side. 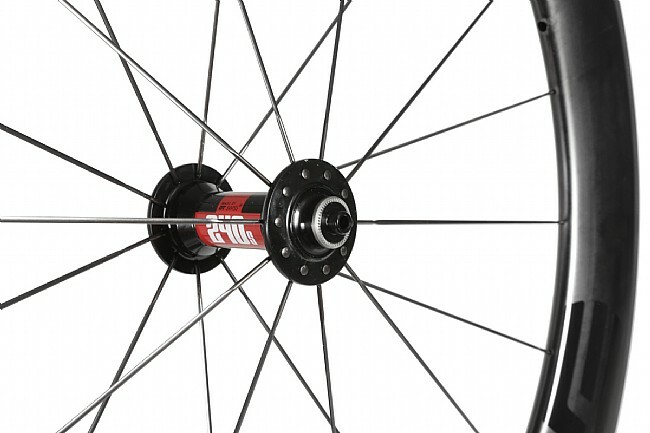 With a smart construction that pairs handsome wind-slicing carbon fiber rims with renowned DT Swiss 240 hubs, this stable and agile high-performance wheelset slays flat and hilly road and time trial courses. 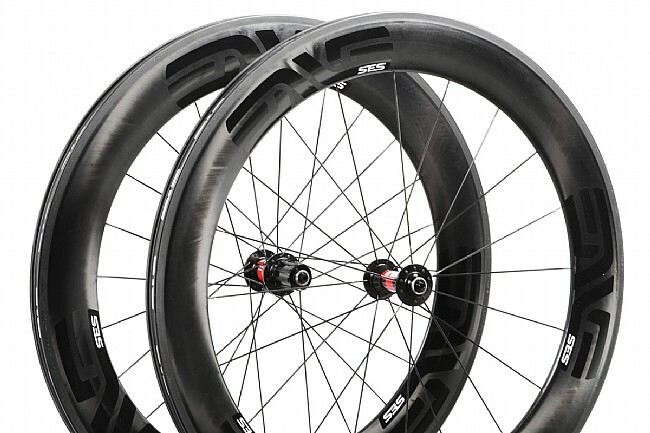 ENVE's number-one priority is functionality, and that commitment shines through in the SES 7.8's rims. With the highest strength-to-weight ratio in the industry, proprietary molded in spoke hole technology, and a textured braking surface that allows for a more positive engagement and better braking in wet conditions, ENVE's carbon rims stand out in more ways than just their sleek aesthetics. Both the front and rear rims were shaped using data collected by Smart Aero Technology, a third party research and design group run by former Formula One engineer Simon Smart. Extensive wind tunnel testing is used to determine the optimal rim width and depth for reduced drag and confident handling in a variety of conditions. They were modeled on today's modern aero frames that are built around larger 25 mm tires. ENVE took advantage of the increased frame clearance and designed a front rim that is 29 mm wide and 71 mm deep, and a rear that is 27.5 mm wide and 80 mm deep to provide optimized efficiency and stability that works on the bike, not just in the wind tunnel. 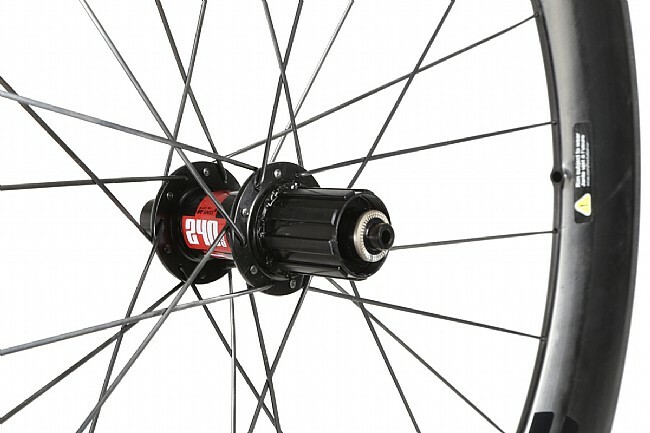 DT Swiss 240 hubs join with these rims to offer exceptional durability, light weight, and smoothness. DT's Aerolite bladed spokes top it all off, providing outstanding strength without compromising lightness or aerodynamics.